If you are looking for a bidet in the market, you might have seen so many brands out there and it’s so difficult to choose the best one. And if this is your first buying a bidet, then you must be so confused to which brand and features to look for. We have the right solution for you: Bio Bidet. Why you should choose to buy bio bidet product? 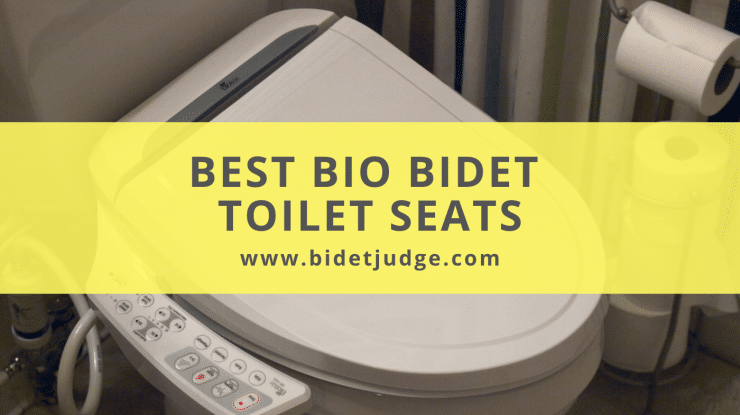 The brand Bio bidet stands out as a trusted expert for making high class best bidet toilet seats and attachments in the industry. There are many benefits of using a bidet and both standalone and bidet attachments are manufactured by Bio Bidet. What Bio Bidet does is that it uses a stream of cold or hot water to wash you that is a more clean, hygienic and comfortable method. The bidets are therapeutic and much more hygienic than your conventional toilet paper. The Bio Bidets are very convenient and offer excellent benefits to any age. Their products are made from the best available materials and deliver very high-quality appliances like Bidet seats at an affordable price. 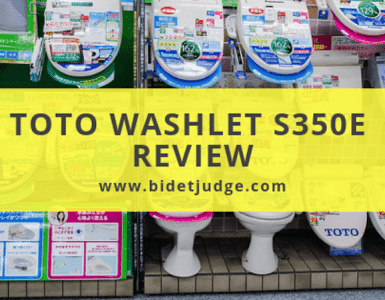 You will see in this article that Bio Bidet offers you the best bio bidet toilet seats with high-tech features without compromising the products’ integrity. Bio Bidet products will make your life much easier, so save your money to feel clean and fresh after every wash. Say no to toilet paper because the bio bidets are more environment-friendly than your toilet paper. They also help you with health problems as these bio bidets have sufficient pressure and particularly designed tips for the nozzle to send in water for a more thorough cleaning. These bidets products are also beneficial to the people suffering from hemorrhoids. They don’t have to through that abrasive feeling of toilet paper anymore. The 3-in-1 nozzle made Bio Bidet a pioneer in bidet technology. This is a special and patented feature which supports the exclusive washing function of Enema also. Bio bidet also introduced the new hybrid instant heating system that takes elements from two existing heating systems to create the perfect technology for water heating. No more sitting on chilly toilet seats because Bio bidet also manufactures some luxury bidets that come with a temperature controlled heated bidet seat. In addition, a warm air dryer to make you dry after every wash. Bio bidet also offers the advanced technology bidets with wireless remote control and a touchscreen control panel. Want to increase the lifespan of your bidet toilet seat? You should consider using a bidet water filter. They also come with slow closing seats and lids. What’s more? The bio bidet products are very user-friendly. Every Bio bidet product has all the standard bidet features with advanced technology offering superior cleansing. The product range varies from basic and highly affordable natural water bidet attachments to luxurious bidet toilet seats. You can now the problem of toilet clogging by buying the best bio bidet product. A Bio bidet will definitely improve the look of your toilet. 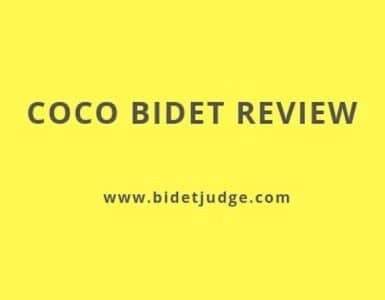 Here is the list of best Bio bidet product reviews for you can to choose the best bio bidet product according to your preference and needs. This heated bidet seat is temperature controlled with as much flexibility as you like. You will not only enjoy a warm seat when you buy this bidet seat, but you also will have the opportunity to use a well-designed and streamlined seat that can be adjusted according to your desires. 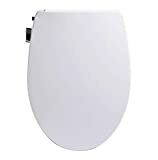 The Ultimate BB-600 is an attractive bidet seat model from Biobidet with elongated dimensions 20.5 x 18.4 x 5.6 inches weighing just 14.57 pounds. 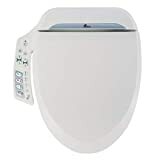 It is an electric bidet seat that is very convenient to use even by kids as it features a child mode and seat lid is softly closed for more discretion. These heated bidet seat power requirements are 120 volts with 660 watts of power consumption and it also consumes less power than any other heated bidet seats. This smart Bio bidet seat has a dual nozzle function that is capable of the feminine and rear washing while still being very user-friendly and keeps the back ends hygienic and clean. This bidet seat also allows you to adjust the water temperature and pressure and the gentle aerated stream’s position with a side-mounted control panel. The good thing about this product is that it is very eco-friendly. The energy saving mode reduces the usage of electricity and toilet paper that is good for our environment. It is equipped with tank-style warm water and tank heating is a low-energy method for heating your bidet water. 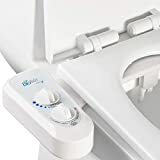 This Bio bidet seat model also features a warm air dryer, options for cleaning spray, selection of pulsating and oscillating message using the bubble infusion design. In addition, you’ll also enjoy the 3-year warranty from Bio bidet after purchasing it. 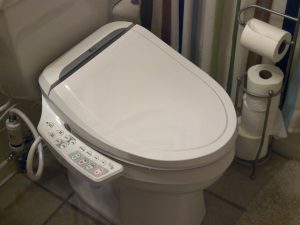 This BioBidet 6800 comes with an electric warm seat that is temperature controlled. This model has dual nozzles for a posterior wash for males and gentle frontal feminine wash with 7 nozzle holes. It will definitely improve your hygiene. This 6800 BioBidet has an energy saving mode to reduce electricity usage. The product dimensions are 20.5 x 15.4 x 5.6 inches and weigh just 1 pound. It’s eco-friendly! 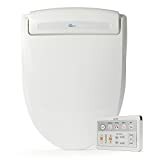 No more toilet paper in your bathroom as this Biobidet model has a warm air dryer feature that will instantly make you dry after cleansing with water. This model is not only limited to cleaning, but it also has an oscillating wide clean and pulsating message mode with infused bubble technology. Feel constipated often? Then this Biobidet is great for you because the pulsation wash helps to relieve conditions like constipation by using water bursts to naturally stimulate your bowel movement. It has a very convenient wireless remote control with soft touch buttons. It uses a tank reservoir for heating water. You will get a 3-year limited warranty for this model. 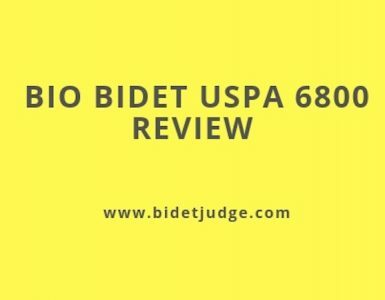 This USPA is a top-line electronic Bio bidet seat in terms of both aesthetics and its quality construction. It’s a luxury bidet that is economical and user-friendly for all ages. The kids will also enjoy the luxury of this 6800 bidet as it has kids washing mode. The BioBidet BB1000 is a luxury bidet you would surely want in your bathroom. It has a new unique patented 3 in 1 nozzle technology which offers a posterior, gentle soft feminine and a vortex wash. The water pressure and cleaning capabilities of the BioBidet Supreme BB-1000 cannot be beaten. Thanks to the superior aeration technology and the 3-in-1 nozzle system, the water flow is always full and maximum cleaning is provided. You have the access to a temperature controlled heated seat and enjoy instant warm water wash. The product dimensions are 19.4 x 15.1 x 6 inches and weigh 15.96 pounds. It has a slow closing lid, so more hard slamming. Thanks to a convenient wireless remote control, you can customize several functions including water temperature and pressure. It also has wide clean oscillating and soothing pulsating message feature. This model is built to provide to maximum hygiene. It has all the additional high-tech features having a warm air dryer, digital sensors, and self-cleaning nozzles. It is very effective and easy to install. BB1000 comes with a power saving mode to reduce your bill. With powerful carbon filter deodorizer, up to 90% of the embarrassing odor is eliminated. This Supreme bidet seat is guaranteed for a period of 3 years. The BB-1000 is truly the most advanced and complete bidet seat in the industry that has the advanced ‘Capacitance’ seat sensor and ‘Self Diagnose.’ The BB-1000 is a fully featured bidet and your ultimate toilet necessity. What’s unique about this luxury bidet? Almost all bidet seats come with dual nozzles but BB2000 has a 3 in 1 nozzle. This system is used for signature vortex water stream, brilliant posterior and gentle feminine wash using the bubble infusion aerated technology. The vortex water steam uses the maximum volume of water for maximum cleaning experience. The 3 in 1 system is more reliable and effective than 2 in 1 or 1 nozzle wash options. It also comes with a U-Pick wireless remote control in black and white color for your convenience. It has a powerful heating seat with adjustable temperature equipped with intelligent body sensors. The bliss BB2000 also has a warm air dry to eliminate the toilet paper usage. The user can enjoy the oscillating wide clean and pulsating message cleaning as well. It is very eco-friendly having an energy saving mode which conserves energy to reduce your bills. Another breakthrough of this bliss BB200O0 is its hybrid water heating technology. This innovation is one of the most effective, useful and reliable instantaneous water heating methods which combine the water flow and temperature resistance with unlimited duration to create a continuous warm and regenerating water flow. BioBidet’s Slim One Toilet Seat changes the way you hygiene your house. Full of ample features, this is the bidet at an affordable rate that you’ve been looking for. The product dimensions are 22 x 19 x 6 inches and weigh 15 pounds. It comes with self-cleaning nozzle made of stainless steel for durability and easy maintenance. The Fusion warm water technology with active ceramic heating coil increases your hot water supply duration. This bidet toilet has warm seat that can be adjusted to make you cozy. It is convenient for both posterior and anterior cleaning. This Slim One is very user-friendly and easy to operate as it has effective turbo and child wash mode. Equipped with an intelligent body sensor and wide and dual message cleaning, this smart toilet seat makes a good choice for your toilet. You don’t have to worry about losing a remote control or changing the batteries frequently. It has a control panel on the right that allows easy access to all the functions of the bidet and creates a comfortable and user-friendly experience. The large audible click control buttons ensure that you have activated a function of your bidet. The soft blue illuminated night light mode of the Slim One will make your trip to the bathroom easily without turning on the bright lights at night. The night mode can also be turned off if you like. The Slim One has a smart seat sensor which does not allow it to work unless the bidet seat is occupied by someone. You won’t be disappointed by the cleaning experience offered by this Slim Toilet Seat. This A5 stream provides support and function you are looking for in a new bidet seat. It looks just like a standard toilet seat, but with advanced features. A5 Steam comes with a retractable dual nozzle that offers posterior wash for him and soft feminine wash. It improves hygiene and is eco-friendly as well. It is suitable for all age groups even kids as it features a strong suitable lid. The A5 Stream is built to last as it uses a unified solid brass valve that consists of a single molded part that causes fewer defects. This enhanced solid design outperforms other plastic valves used in most bidets. The product dimensions are 21 x 15 x 3.5 inches and weigh 6 pounds. No more high electricity bills! No battery or electricity is required. This is a non-electric bidet toilet seat by BioBidet. The sleek design of A5 has a solo easy push and pull the lever to control and adjust the water pressure. The lever control also activates the rear or feminine wash. It is very easy to operate, just push or pull the lever on your side to activate the wash. It is powered by the fresh water supply of your home, so there is no need to move or install an outlet near. The installation is very easy and quick and it comes with a 1 Year warranty. The Biobidet Elite3 is an easy to install bidet attachment that exceeds all industry standards and requirements. This universal non-electric design provides an easy fit for your toilet. It comes with controlled water flow and pressure and selection of nozzles with nozzle self- cleaning functions. Dual nozzle offers posterior and gentle frontal wash. The product dimensions are 9 x 19 x 4 inches, weigh 2.95 pounds with a maximum weight capacity of 280 Pounds. The Elite 3 is controlled by a set of easy-turn knobs. You can easily change the water pressure to create an experience that combines comfort and ease of use by the P.S.P.C. (Positive Stepping Pressure Control). The nozzles are only extracted and sprayed when selected in order to guarantee ultimate hygiene. This bidet attachment is intended for standard 2-piece toilets and most 1-piece toilets without a French curve. Maintenance is very quick and simple. BioBidet products are built to last having high-quality supply hose. This BioBidet Elite3 is assembled with a long-lasting built-in check valve that is UPC certified, dual-sided ABS housing that protects inside of water lines, tough braided metal hose, and pressure valves made of solid brass. This Elite3can be used by the entire family. It is specially designed for the user’s ease. You have full control of your cleaning experience with the easily accessible side panel of the Elite3. Choose your cleansing mode easily by just turning the dial. Enjoy peace of mind while achieving excellent hygiene every day for you and your family with this affordable Elite 3 bidet. Elite3 has full year warranty coverage from the date of purchase.